Check Out the Adventurous 2018 Subaru Outback! Adventure has just found a more high-tech and stylish side than ever before. Already highly regarded and very popular with many drivers, the Subaru Outback has been refreshed and redesigned for the latest model-year, and it quite simply has resulted in the most impressive Outback that we have seen from the brand to date! That cool video above does a great job of providing you with just a glimpse into all the value and rugged appeal that the 2018 Subaru Outback crossover SUV has to offer auto shoppers. If you are seeking a new vehicle that possesses a tough all-wheel-drive powertrain, impressive fuel efficiency, cutting-edge safety features, seamless technology, outstanding reliability and also a very competitive price tag, then you cannot go wrong with the new Subaru Outback! The fact of the matter is that no other model out there offers this attractive jack-of-all-trades characteristic quite as well as the Outback does time and time again. 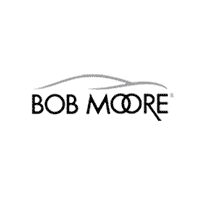 Discover more at Bob Moore Auto Group! If you reside in the Oklahoma City, Edmond, Norman or Moore areas of Oklahoma and you are intrigued by the exciting new 2018 Subaru Outback, then look no further than Bob Moore Auto Group to visit for a test drive! 0 comment(s) so far on Check Out the Adventurous 2018 Subaru Outback!